You are currently browsing the tag archive for the ‘business plan’ tag. So, you’re a fastball hitter and life throws you a curveball. Wait for the fastball or learn to hit the curveball. You’re probably wondering what I’m talking about; let’s break it down in terms anyone should get. Fastball – Everything is going your way, life falls into place and you’re accomplishing your goals, what could go wrong. Are you flexible? Do you have a project in the works to advance your project toward the goal you seek and have expressed via a vision board, affirmations or whatever you use to track to a goal you’ve set? Curveball – Unexpected situation arises, health, family member illness, child situation, pet issues …etc. Is this a setback? What of the progress on projects? How long before you can get back to work? Do you have a contingency plan? What happens if you have to ley your project set for an extended period, say a month or more? What if the project is for a client? Isn’t being an entrepreneur or small business owner fun. Unless you have deep pockets, you are going to be doing a lot of administrative work for your business and can afford to outsource it. However, you should start off doing some of it yourself to understand it and be able to explain what you want your VA to do. If they don’t understand the work and how you expect it completed they won’t be able to complete it correctly. You get to do it again. I wish someone would have clued me in. Experience is a tough taskmaster. This is the impetus for a work I started but found it needed to be rewritten not just revised. The working title is Taming the Freelance Market. I had to put it on the back burner while I was forced to take it easy for a couple of months. I couldn’t trust myself to walk from one spot to another in the house, no stairs until cleared by doctors. Back in my office after months of medical tests, frustration, fear and the onset of a deeper depression than usual. Working with generalized anxiety and depression is better when working than being able to become too introspective. Medications only work to a point. Can you say the same? What happens to client projects if something develops medical or emotionally to you or something significant in your life (ex: wife, child, parent); can you afford it? This should be part of your business plan. Don’t have a business plan? Get busy creating a business plan ASAP and review it a minimum of quarterly for revision and visit your business goals. What I have chosen to do after retirement is for sanity and keeping the dreaded anxiety-depression monster at bay. I know I am not the only entrepreneur that suffer from this malady. There is a group on Facebook (Overcoming Depression for Entrepreneurs) about the subject of depression that is happening because of many factors for entrepreneurs or small business owners. There is much to honestly examine inwardly and externally before you hang your shingle out and quitting your 9 to 5 job and joining the gig economy. Nothing happens overnight, it takes hard work and perseverance to make it in the gig economy. You need a backup plan and a business war chest to get over the rough spots without going into debt to get your endeavor afloat. Most businesses fail because of lack of funds not a lack of desire. Desire can only go so far. Money is what drives business. Any goal in the gig economy will require funds to cover the mundane expenses like mortgage, taxes, insurance, medical, food, vehicles …etc. This is where a solid business and marketing plan comes into play. With a solid plan and realistic goals, the curve balls will not affect your outcome. Plan, plan, and review your plan. If you have the money to outsource your marketing, DIY is not something you might care about, for those who cannot afford outsourcing costs, think about DIY marketing. I call DIY marketing, grassroots marketing. DIY obviously means you are doing your own marketing for a reason. The main reason is the expense of outsourcing your marketing, or it might be the fact that you just do not know who should be your outsourcer for marketing. There are many outsourcers. The question is about experience in relation to cost. No outsourcer can guarantee an infusion of customers, traffic, conversions, or other so-called promises while being ethical in marketing your business, which is your brand reputation. All brands should stand for honesty, integrity, and quality. DIY Marketing is about establishing a brand that is authentic, helpful, respectful of customer’s needs, and transparent. Marketing is about establishing relationships with potential and existing customers. Unbelievably, word of mouth is still the best way to advertise and grow a business. Social media is one of the largest wastes of time for any business. From a personal perspective, social media is getting worse every day. More people are using social media to inform people about lunch, and other worthless non-relevant sharing of tasteless political, religious posts. Individuals have the right to their opinions, and individuals have the right not read what people have to say. Do not waste time on non-relevant post wasting your productive time. Businesses need to be proactive in helping customers and productive. Any form of marketing takes time and work, DIY marketing is no different except the business owner and employees have total control of the marketing message. First, before you get to the quiz, there are three types of a home-based business. Each has their own requirements. Have you ever run a business? 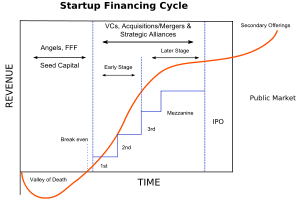 How much money do you have for startup? Have you thought of a domain name that explains your business? Have you thought about Internet presence? Have you thought about web hosting? Who will design your site? Have you thought about a blog? What is your social plan? Do you have reliable high speed Internet? Do you have a computer less than two-years old? Do you have a separate phone line with voicemail? Have you checked the requirements for running a home-based business? Do you need special permits or a business license to run your business? Have you thought about business insurance? Do you have space in your home to run your business? Who will do the business accounting? Who will create and maintain a schedule for the business? How many hours are you willing to work in your business? How many hours are available for your business? How much of your business can you afford to outsource? Outsourcing can be expensive, unless you have a large budget, all aspects of running your business is up to you. Do you know where to find and choose the right person to outsource to for your business? NOTE: Never spend more money on your business than you can afford without going into debt. Remember that many businesses fail within the first six months. Do your homework before jumping into entrepreneurship. With the week beginning January 6 2014, the first full week of the New Year and probably starting a new workweek, it is time to begin anew as small business, entrepreneur, or author. Time to begin re-evaluating what worked, and did not in 2013 for your business. 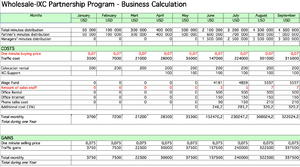 When was the last time you looked at your business plan? When was the last time you looked at your marketing plan? When was the last time you looked at you social media strategy? When was the last time you re-evaluated your Internet platform? In 2013, how often to you revisit the above. At a minimum, you should at least ever six-months. You must also be flexible to changes in the economy, social media, ROI, and any factors that may affect your business. Has your reason for starting a business changed? What about your business outlook. As you move forward in 2014, still working with the same assumptions of 2013 is not going to help your business grow. Without the latest results, how can you drive your business forward? Have you ever set up a business plan for your business? There is enormous amount of consideration, information, and strategies needed before beginning any business if it is to succeed. Failure in the beginning, your business is doomed to failure. It is all about knowing how your business is functioning that explains to the business owner what needs tweaking to move forward. If you have no results, or some way of looking at them and being able to adjust, how are you going to grow the business? Most startups and their owners don’t consider a budget, which is a huge mistake for success. When considering starting a business, part of the business plan is planning the business marketing budget of running the business. Where is the capital coming from? How much capital is there for the business? Is part of the money coming from a paycheck? What can an entrepreneur spend without making the business fail because the startup is underfunded? If the business startup is to succeed, the entrepreneur needs to answer these questions. Entrepreneurs need to sit down, and construct a meaningful business budget for financing their business startup. Without a budget and working capital, the business has no way of surviving for long. It may take months before any business finds its first client, how a business survives until then is why businesses should have a budget, and review it at least a minimum of every three months to adjust the budget, or recalculate the budget. Things will change, and entrepreneurs must change their budget to keep up with the changes to the business. If you don’t keep track of your business budget and to the changing business landscape, there will be a failure in your future. Failure to keep a budget, a marketing plan, a logical business plan, and how to keep the business running without clients for months, which is a possibility, has caused the demise of many businesses. If you are considering a startup, consider what you need to do first. You need to have a good reason, other than money for starting a business, think hard about why you want to start a business. Do not take starting a business lightly, it is hard work, long hours, and not for the faint of heart. Startups are time consuming, and entrepreneurs must be willing to give up part of their life to create a successful business. If an entrepreneur doesn’t have patience, they may not be able to have a successful business, because there is no such thing as making money overnight if no one knows about their business. The use of shortcuts can damage a businesses’ reputation and make the business fail. Don’t be a failure statistic. Do it right and create a workable budget. Step One: Startup, whether you are considering a full time, or part-time business, you must answer the question: Why do you want to start a business? If you answer for money, you’d better think again about starting a business. There is no way to make money overnight, or even in the first few months of running a business. It takes money to make money. The business income goes back into the business to help it grow into a successful business, not in your pocket. Running a business is not a hobby; it is hard work, and possibly long hours, not to mention sacrifice. Sacrifice in the fact the running a business means that you have to spend time working on and in your business, so what are you willing to give up in building your business? Answer the question of why you what to start a business truthfully. Is it because you feel that you have a better service or product than another company, are you passionate about something you think you can turn into a business, what makes you special over someone else. This is what it takes because you are competing against other and possible more established companies. What are you going to call your business, do you need licenses, what about business liability insurance, is you running your business out of your home, or brick and mortar storefront, what about a DBA, LLC, S Corporation, C Corporation, which is right for your business. How will you pay for this? The above is a business plan. A business plan is all about the business along with the goals of the business. Step Two: Marketing, an extension of the business is how you plan on marketing and branding your business. What is your plan, do you have a plan to market your business. What marketing channels are you planning to use in marketing your business? There are many ways to market a business. What is your plan to track ROI as to what channel works best? How will you finance your marketing? All businesses need a marketing plan to get in front of the public for traffic to the business either Internet, walk-in, or some other method to have clientele. Without clientele, you have no business, only a money-draining hobby, and you become a wana-preneur, not an entrepreneur. Get your ducks in a row before you think about starting up a business. Creating a business plan for a small business doesn’t need to be elaborate and complicated unless you’re planning on going to a bank for a loan. Your business plan can be a simple one-page statement of why you created your business and what your goals are. You also should set a time limit on how often you will update your business plan. Business plans need flexibility to adjust to the economy, business grow or decline, the business mindset (solo entrepreneur), and if the reasoning for the business or life changes. Without a plan, your business is on shaky ground and may fail. Businesses need direction and a reason for being. As things change, business plans need to change with them. Never write business plans in stone, as life, and the business changes so must the plan to keep pace with the changes. You should review your business plans about every six months to see if your business is on tract and if anything should change to move your business forward, what has or hasn’t worked so far. As part of a business plan, you need to track what is working for you and what isn’t, because if something isn’t working, why keep doing it? You need to put more energy into things that are working than not working. Part of your business plan should contain how you plan to market on the available marketing channels and creating a way of tracking which channels work for you and which ones don’t. Do social, video, networking, online, offline and track which one brings the best ROI, and then spend more effort on those channels. Your business plan should reflect everything you do for your business, and have some way to track results. This can be as simple or complex as you choose to make it. The best way to do this is K.I.S.S. Do you think the term guru means anything? Based on past personal experience; the term guru means run for your life, because gurus or so-called experts have something for sale, or a membership site for you to join. A guru, or expert willing to sell a method they use to make money for a price many cannot afford, you need to ask yourself one question. Why? If it is so good why share it? Have you seen the offer to write a chapter in a book that the person says can give you expert status because they’ve written x-number of books? After you listen to their pitch, you find that it will cost you around $1,000 to write a chapter to be included a book that you get to market on your own. Sounds like the expert is making some good money off this pitch, not sure how well just having a chapter in a book will work, and you can save a lot of money by writing your own book and publishing it. Be sure that the money you spend gives a great return. Most of us are not super wealthy and can hardly afford the expenses we currently have while trying to run a business on the side so we can be our own boss. Experience has shown that most businesses fail within a short time period, many within six months, many more within the first year. The reason is not being prepared with knowledge well before the decision to create a business. The knowledge of having a business plan, marketing plan, the type of business, sufficient income to run the business for at least a year without a single customer. You don’t need a guru for this; in the United States take a look at the Small Business Administration website where you can find the knowledge you need to begin your business. Take the time to learn how much you don’t know about running a business online, or brick and mortar. There may be licenses, DBA (Doing Business As requirements), business liability insurance, and more depending on the state where you live; there may be local requirements (county, and city). Do your own homework and don’t rely on the guru or expert to know these things or for your business. Spend some time learning and please don’t reply on some program that may not be money well spent. Look toward your community college for some business courses to help your start-up.